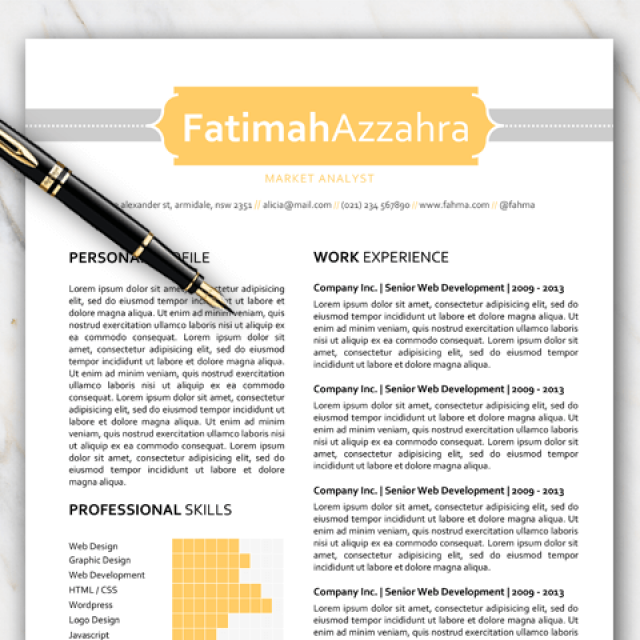 Get this professionaly designed resume template for Word completely for free. 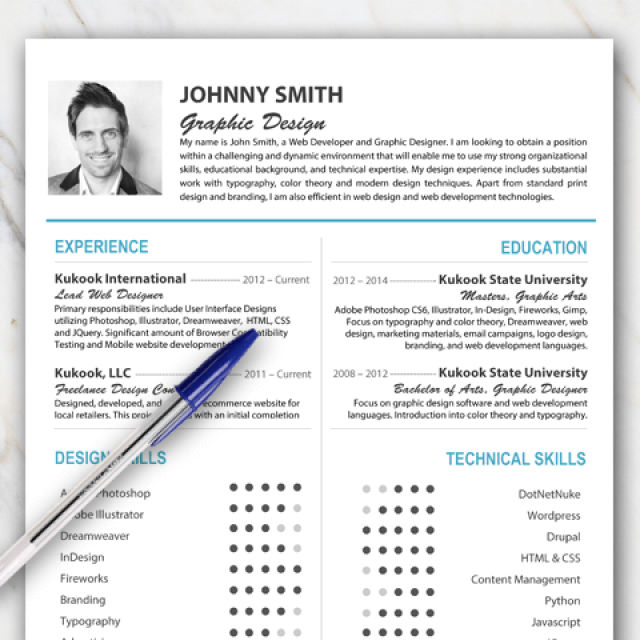 Looking for a clean and crisp resume template? Look no further, you have come to the right place. 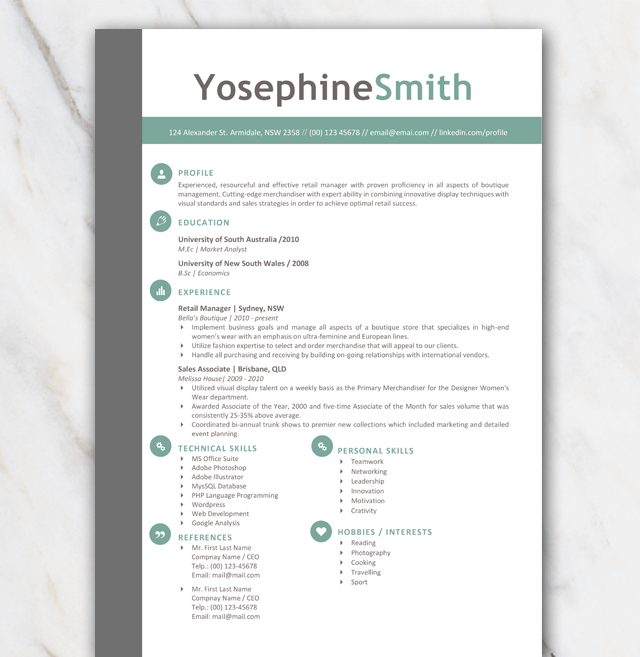 Check out this resume template with green, grey and black colors used. Not really your style? That's ok, there's more where this came from! 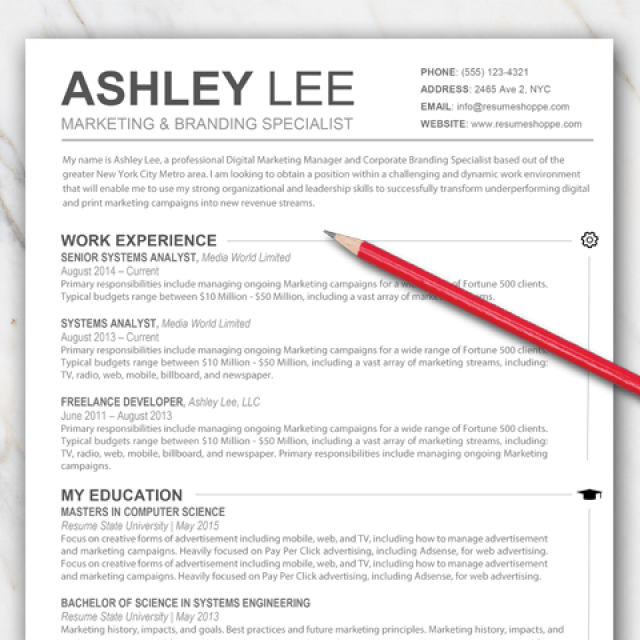 Check out my other resume templates.